A CMS experiment that compensates doctors to improve care for the sickest Medicare beneficiaries is showing signs of both saving money and improving quality. Since 2015 the CMS paid physicians an average of $50 per patient per month for consulting with specialists and coordinating chronic-care services. A report posted Feb. 16 by the CMS showed that per-beneficiary spending for consumers receiving chronic care management services in the first six months of 2015 were $1,395 compared with $1,192 for those who received services in the first six months of 2016. In addition, over the second year of the experiment, the CMS paid roughly $52 million in CCM fees and generated a net savings of $36 million, largely because those beneficiaries were less reliant on both inpatient and outpatient care. Source: Medicare 2014â2016 enrollment and FFS claims data. "This is validation in that a financial benefit was seen at the payer level," said Travis Bond, CEO of CareSync, a health management company that offers care management services to physician practices. "That's the last gap that needed to close to show legitimacy and that this is a scalable program." Other CMS programs with monthly care fees, such as the Patient-Centered Medical Home model, have not generated Medicare savings. "This report adds to an increasing evidence-base that transitioning from fee-for-service to capitated payment systems that focus on population health will be helpful to clinician's ability to proactively and efficiently reduce low-value care and improve outcomes of importance," said Dr. Sanjay Basu, assistant professor of medicine at Stanford University. The findings also come as the CMS has struggled to garner provider interest in the care management initiative. Last year, the CMS announced plans to launch a national campaign to promote the effort. Agency officials have suggested there may be a lack of awareness among physicians about the care-management billing codes. Some physicians disagreed, instead arguing that CCM codes reimburses too low for the most complex cases. And during town hall sessions, some physicians informed the CMS that there was pushback from patients who would be on the hook for a 20% insurance co-payment. More than 684,000 beneficiaries received CCM services during the first two years of the new payment policy. 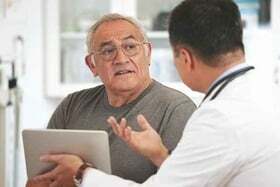 The CMS estimated 70% of Medicare beneficiariesâroughly 35 million peopleâhave two or more chronic conditions, which would make their doctors eligible to get paid for chronic-care services. The latest findings, however, may drive more interest in the program. "Having the ability to utilize these codes allows them to better serve their patients and we hope more will see them as an opportunity to provide better care," said David Pugach, senior vice president of public policy at the American Osteopathic Association. Some industry insiders had more mixed reactions to the report and questioned how generalizable they were. For instance, the report mentioned that researchers interviewed 71 providers, which is an extremely small subset of the overall clinician population, said Jessica Kullman, a program manager at HealthEC, a population health management company that works with accountable care organizations to track patient care. "It appears that they may not have conducted an adequate geography-based survey to get a true snapshot of the CCM success or lack thereof," she added.